You can save money by planning for the holidays now. Thanksgiving has sadly come and gone, and Christmas will be here before we know it. In 2016, the estimated average Christmas spending is $831, according to the Gallup Poll. This does not include money put toward holiday parties or traveling expenses. Just because the average U.S. consumer plans to spend more than $800 on Christmas gifts does not mean you have to. Although December 25 is less than a month away, there are many opportunities where you can save money by planning for the holidays now. Discount Codes. Discount codes can be found all over the internet. Freeshipping.com will give you promotional codes for free shipping and coupons, and a slew of discounts can be found on RetailMeNot.com as well. Personally, I like to use the Chrome browser extension Honey, which does all the sale searching for you as you are on any given retail site. Social Media. 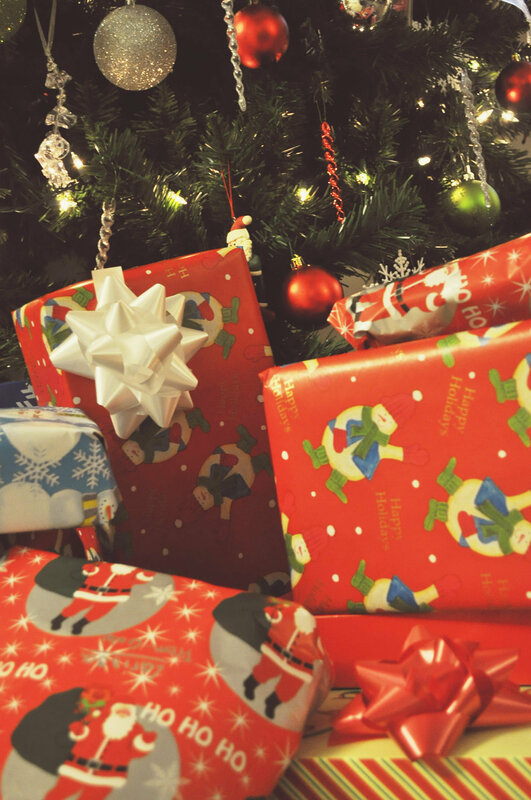 If you know your gift receiver loves a certain store, follow the company on social media. Retailers are often sharing exclusive specials and updates on their Facebook and Twitter pages, providing valuable information to followers everywhere. Check reviews. Don’t waste money on junk by not looking at reviews first. You can grab a great deal on any computer, but it may not last as long as another at a similar price. ConsumerReports.com or simply checking reviews on Google or Amazon will help show you what will be worth your money as well as a nice gift. As you shop, you will likely find items you would love to have for yourself. Stay focused and dedicate your December shopping to gifts for others only. Besides, if the item is a “must-have,” you can put some of that Christmas money toward the inevitable big sales after the holiday season. Don’t fall for the “15% off your total purchase”specials when you sign up for the store’s credit card that day. While you may save money that day, these often come with higher interest rates, causing you to spend more in the long run. Instead, find out if any of your existing credit cards provide any cash back deals when shopping during the Christmas season. Before you do any Christmas shopping, make a plan. Write out who you plan to buy gifts for and how much you are able to spend on each individual. Make sure to add up the numbers before continuing so that you can evaluate your totals. Then, adjust as you need to. Having a number in place will keep you in check as you shop. Don’t buy a gift just to buy a gift. Similarly, don’t purchase multiple gifts just so the receiver has multiple gifts to open from you. This is a surefire way to waste money. I know I would much rather get one meaningful gift than several items that are nice but have little use in my life. Purchase things that your loved ones will actually enjoy, not trinkets that will take up space. Buying for couples or a family instead of each individual can also save you money while allowing you to give something more meaningful. A game a family can play together or a household item for a couple are a couple examples of purchases that go much farther while also saving you money. When you put your mind to it, it is not hard to save money by planning for the holidays now. And remember, those who truly love you will be more worried about spending time with you than what you bought them for Christmas. Sometimes, a well-thought out card with a meaningful letter speaks more to the individuals than anything you could buy them at the store. Keep that in mind and try not to stress out too much when shopping this season. Is there anything you would add to this list that may help our readers save money over the holidays?